NOTES: Toronto RW Connor Brown had an assist on Rosen’s goal, moving him one point away from 100 for his career. 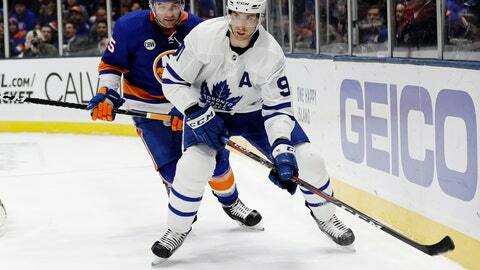 … Tavares’ previous career high of 86 points was set in 2014-15. He had 84 points a year ago in his last season with the Islanders. … New York was 12-6-2 at Brooklyn’s Barclays Center this season and finished 12-7-2 at Long Island’s Nassau Coliseum. … The Islanders won the first two meetings, 4-0 at Toronto on Dec. 29 and 6-1 on Feb. 28 at the Coliseum.